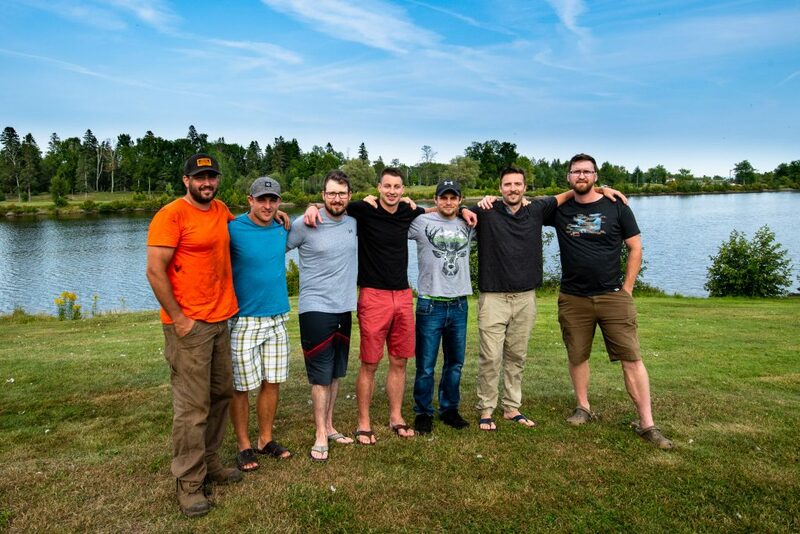 I call them The Group of 7; Jay Humphrey, Shane Powell, Justin Buset, Rob Menei, Mitch Komar, Kyle Paterson and Cole Patterson. These are Andrew Miedema’s best friends. Jay Humphrey, Shane Powell, Justin Buset, Rob Menei, Mitch Komar, Kyle Paterson and Cole Patterson. Cole Patterson, Jay Humphrey, Rob Menei, Shane Powell, Kyle Paterson, Justin Buset and Mitch Komar . Each of these men has an incredible, vulnerable and authentic story of their own of loss to suicide. Collectively, with their unique and ever so diverse personalities, they give me such hope. Hope that things can be different for themselves, other men and a conscious need to understand masculinity. They were instinctively driven by the immense love of their friend Andrew and their need to “do something” so that no other group of friends or family will have to suffer the pain of such a loss of a dear friend and loved one to suicide. Through some incredible conversations, their willingness to get vulnerable, get gritty and tear things apart, they now see part of their goals as creating an environment where shame, stigma and judgement are no longer barriers for men to say, ‘please help’. Each one of these guys knows full well that it’s not about changing others but rather changing themselves. Suicide prevention is not necessarily about saving lives, it’s about helping people feel that their lives are worth living. Ultimately, we can only save ourselves. This group of 7 is making a measurable difference in peoples’ lives in our community. 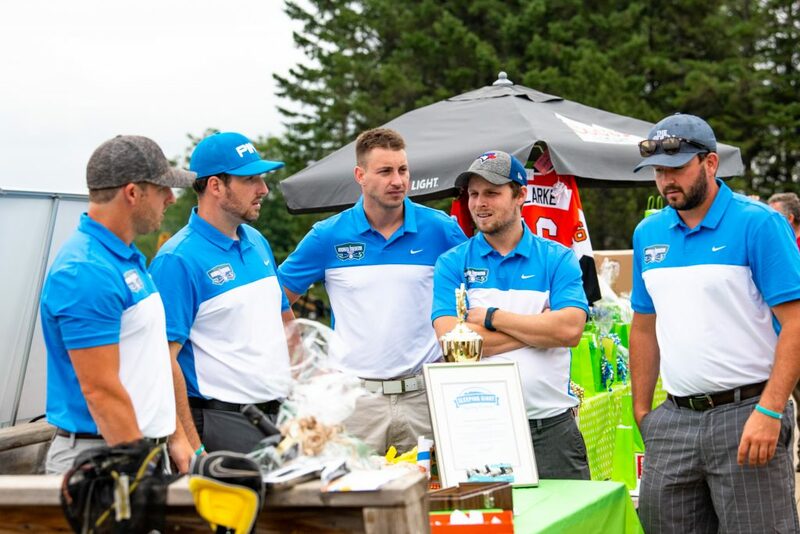 They are also hosting a golf tournament today to remember their friend Andrew, raise money for Canadian Mental Health Association and to create much needed conversations on suicide. Their success is immense in all three areas. Here’s a follow up from the golf tournament. 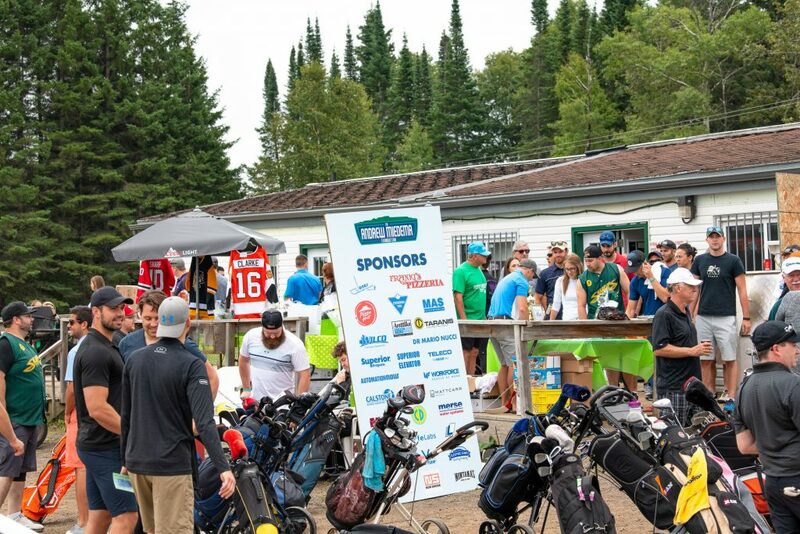 Besides being sold out months earlier and having loads of amazing prizes, The Group of 7 Guys got 59 people to register for SafeTALK and each persons fees will be paid by the funds raised at the golf tournament. 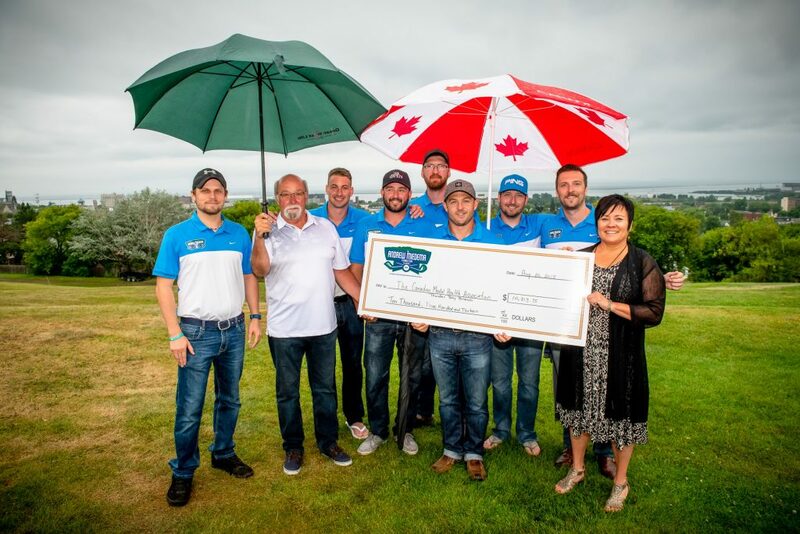 They also gave a donation of $10,313.75 to the Thunder Bay branch of the Canadian Mental Health Organization. 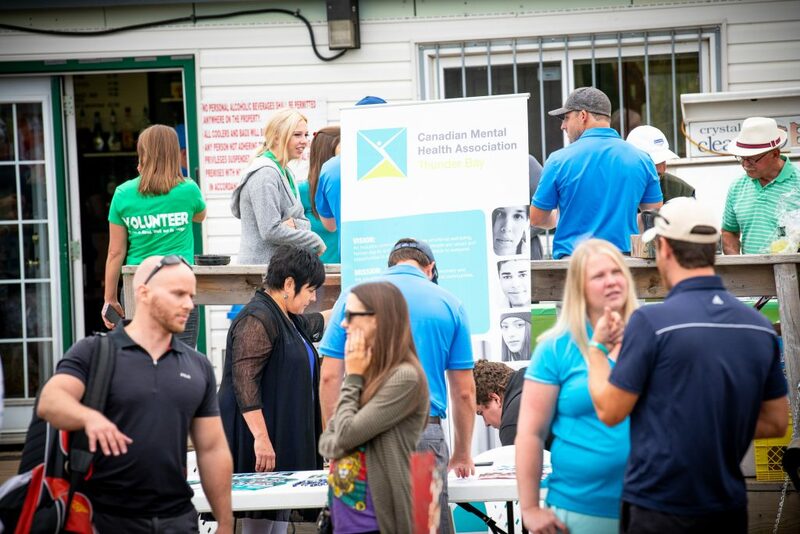 It was an incredible day of healing, conversations and smashing stigma. Please read their thank you letter below. MP Patty Hajdu joins the conversation. Not talking about it isn’t working. Join us as we begin the dialogue. Click here to visit the Andrew Miedema Foundation Facebook page. 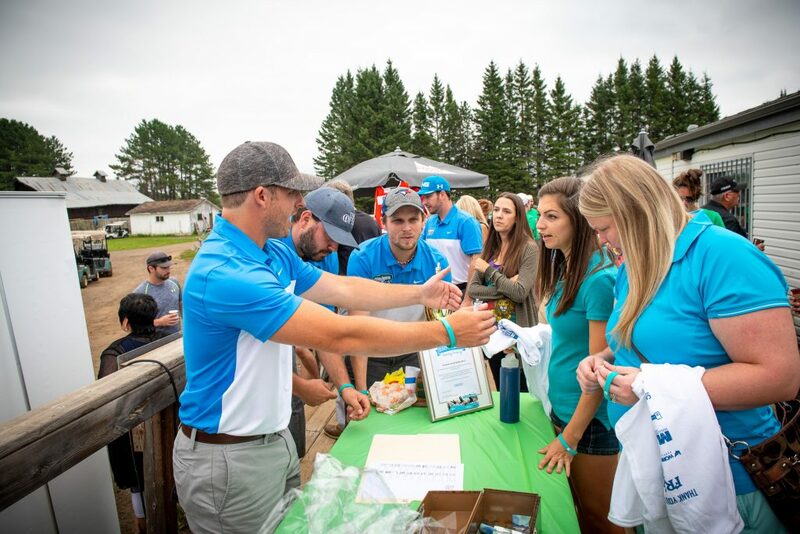 Thank you to everyone who participated in and donated to the First Annual Andrew Miedema Foundation Golf Tournament this past weekend! Special thanks goes out to our sponsors and our host, Dragon Hills Golf Club. Thanks as well to Scott Chisholm (leftbehindbysuicide.org) who gave us the help we needed to start healing ourselves, and the tools that allow us to encourage others to watch for the warning signs of suicide. 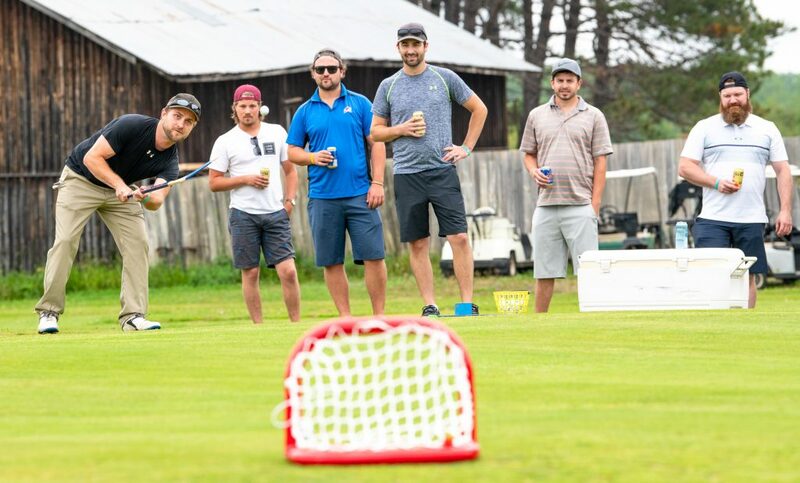 The tournament was a tremendous success – a fitting, if bittersweet, way to celebrate the life of our friend, Andrew Miedema. Andrew died by suicide on March 7, 2018. We are still trying to come to terms with the questions, the stigma, and yes, the guilt. The one big question that will never be answered is, Why? Andrew seemed fine – not even fine, great! 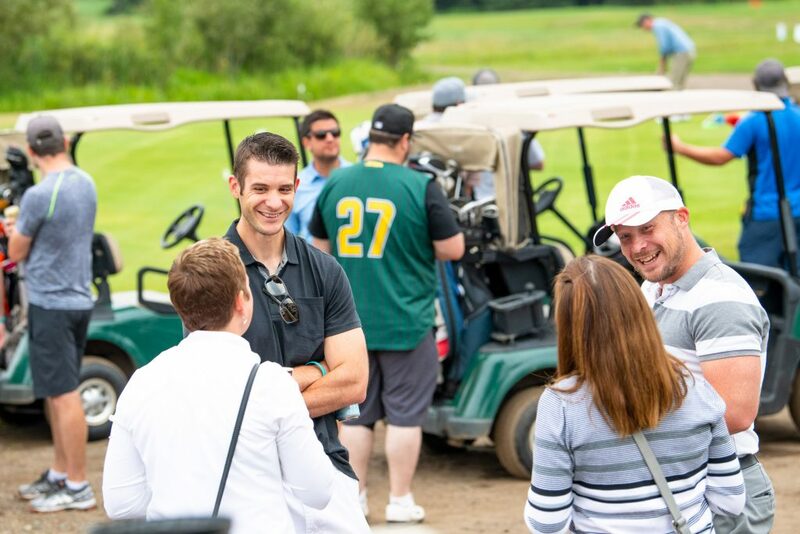 He was in the playoffs and renovating a house and organizing a hockey trip. He was making plans. We didn’t even know he was suffering from depression. We thought that there would be obvious signs. We were wrong. How many other family members and friends have to go through what we are going through? We decided that we want to do everything we can to help others recognize the signs. Most importantly, we want to give courage to those who need help to ask for it. We used some of the money raised from the tournament to pay for SafeTALK sessions through the NorWest Community Health Centres. The half-day course is sort of like CPR training for suicide prevention. We are thrilled to report that 59 people have signed up. The remaining funds, which amount to $10,313.75, will be donated to the Canadian Mental Health Association to help raise awareness about suicide. Men are three times more likely to die by suicide than women. There is no singular cause for suicide, but men’s perception of their masculinity is a contributing factor. We feel like we need to look strong, even when we’re suffering. But we wish more than anything that Andrew would have said something to us, or to anyone else for that matter. Your buddy would have your back going into a fight – why wouldn’t he have it to save your life? Don’t worry about being a tough dude. Get help. Talk to your friends. Talk to a family member. Or talk to a confidential help line like Crisis Services Canada 1-833-456-4566 (www.crisisservicescanada.ca). You can also learn more about the Thunder Bay-based Collateral Damage Project at leftbehindbysuicide.org. Every day we wish Andrew had reached out to someone. Please, if you need help, ask for it. It’s scary, but your family and friends will love you for it. This entry was posted in Blog, News, SafeTALK and tagged hope, masculinity, mental health, SafeTALK, suicide, suicide prevention, the masks we live in, vulnerability, wellness by Scott Chisholm. Bookmark the permalink. What is wrong with you.How are you even fit to be a parent? This article”s message is so disturbing. There is nothing wrong with being masculine, ever. The fact that your son “turned out to be masculine is obvious you moron. The “right way to raise a man isn”t through the feminization of a young male. “All-boy DEFINES a male and anything less than that is clearly “less-boy. You obviously have no understanding of what it means to be a young man growing up. All you have is a woman”s interpretation of masculinity, but you don”t know what it”s truly like to have your masculinity tested by your male peers. If you fail the test over and over, men won”t respect you. (Aww so sadwelcome to reality). I pity the many young men of this generation who are sexually confused from the bombardment of effeminate messages. I have friends who were raised by single “independent fem-dom mothers and are weak, social outcasts, and awkward. My company literally hires females and these “less-boys to do admin work, then works them to the bone. The chain of command is always strongest-weakest. Reading a few of the comments makes me laugh. You”re preaching to the female choir here. Try posting this BS on a site like askmen or any bodybuilding forum, see how many males agree with this convoluted nonsense.